Drug-free, pain relief is the goal for most of us. Now we can offer you a non-surgical option that truly has the power to eliminate or significantly reduce your pain. Five to ten brief treatments with this powerful laser is all it takes to realize life changing results. 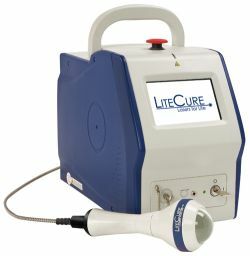 Deep Tissue Laser Therapy works by flooding the tissues with photons, energizing the damaged cells and increasing circulation to the painful area. This produces a cascade of healing responses in your body, reducing inflammation, thereby reducing or even eliminating your pain. Treatments take just a few minutes. However, the therapeutic effect continues to soothe and heal long after you leave the office.